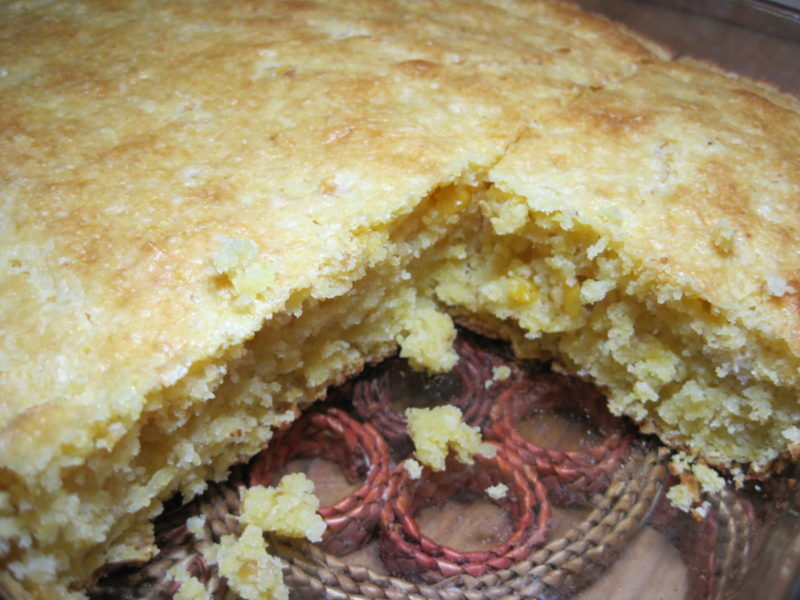 Have you ever experienced dry and crumbly corn bread? Unfortunately, it’s a common occurrence. You pick up the freshly cut piece of cornbread, and as you attempt to cut it in half to spread it with butter, it falls into pieces. This recipe guarantees a moist and delicious pan of corn bread through the addition of a can of creamed style corn. This recipe lives up to its name–Moist and Delicious, but one of the best things about this recipe is that it begins with two boxes of cornbread mix. All you need to do is throw everything in a bowl, mix it together, and spread it into a baking pan. Bake it until it’s golden brown, then dig in. 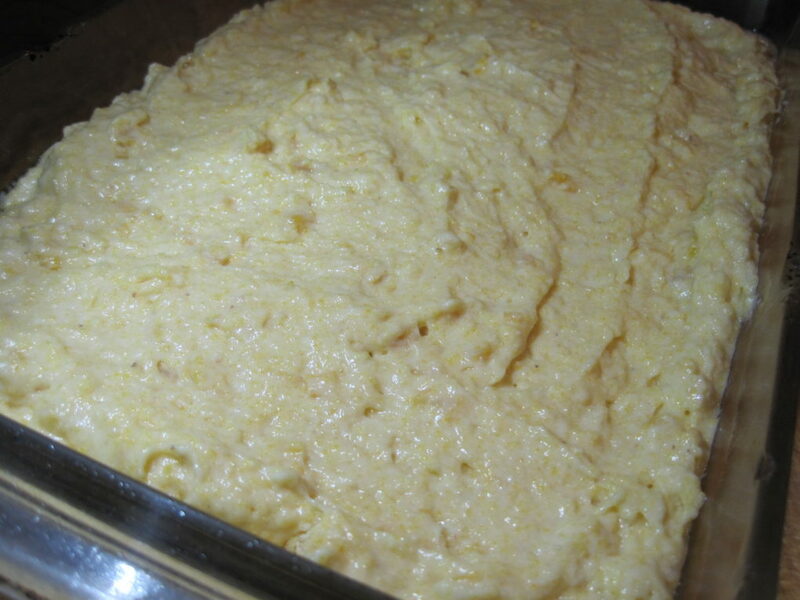 The final result is moist, sweet, and delicious cornbread that you’ll be proud to serve your family. They will never suspect that it was this easy to make. This corn bread is a great accompaniment to a pot of chili or Pressure Cooker Pinto Beans and Ham or even a pan of Beans and Greens. 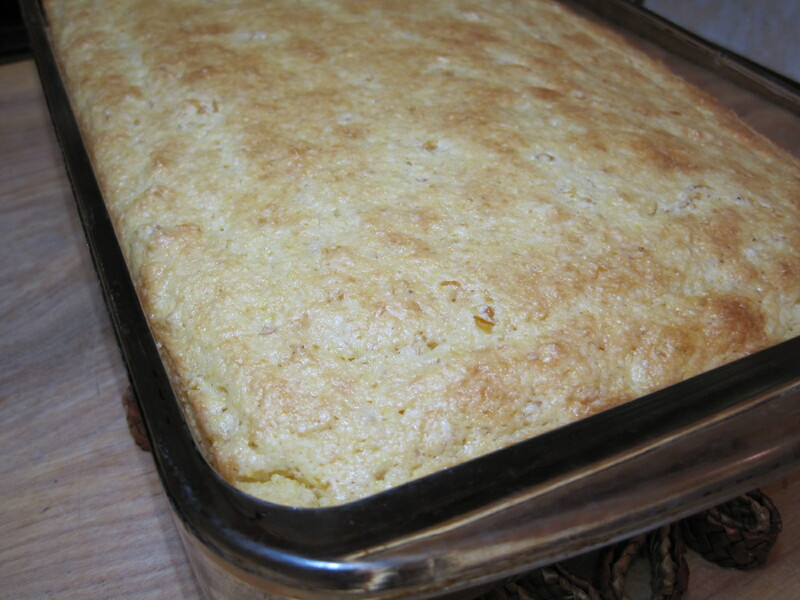 Give our recipe for moist and delicious cornbread a try and let us know what you think by leaving a comment below. Spread in a 9X13 inch baking pan that has been sprayed with non-stick spray. Bake at 375 degrees for 20 to 25 minutes or until top is golden. I can’t believe I didn’t get a piece of that cornbread!! And to think that at I was having cravings for a glass of milk with crumbled-up cornbread!!! 🙂 The recipe looks terrific! This is my favorite corn bread recipe so far. I love how moist and delicious it is. Next time, I’ll try to save you a piece. Looks simply delicious and I have the ingredients. 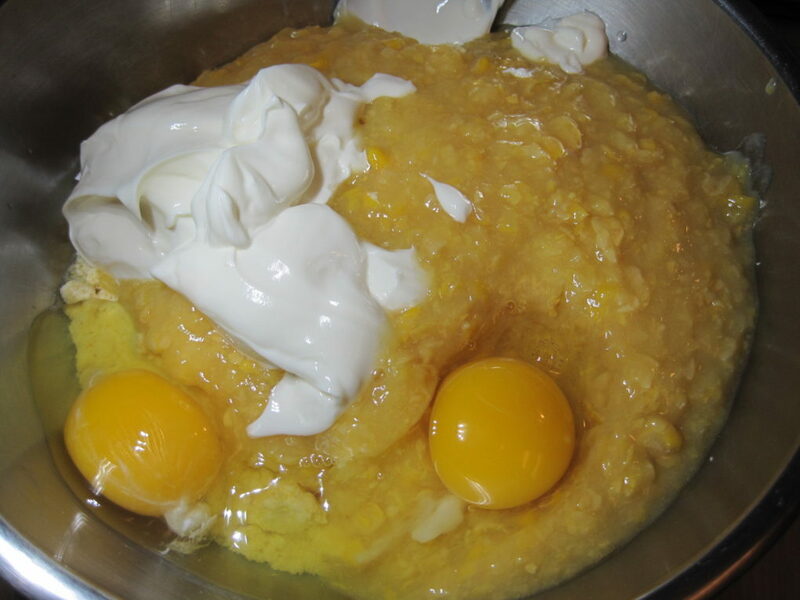 I never thought of adding creamed corn to my box mix. Thank you. Patty, what do you think of adding a box of fresh blueberries to your recipi, and then serving the corn bread for breakfast or as a snack? That sounds delicious. Are you going to make it that way? If you do, let me know how it tastes. This cornbread does look perfectly moist! I love a nice piece of cornbread with a bowl of chili! Kathy, we love cornbread with chili and with clam chowder, too. Good cornbread is one of the best things ever! Love how moist and tender this looks – total comfort food. YUM! I agree. 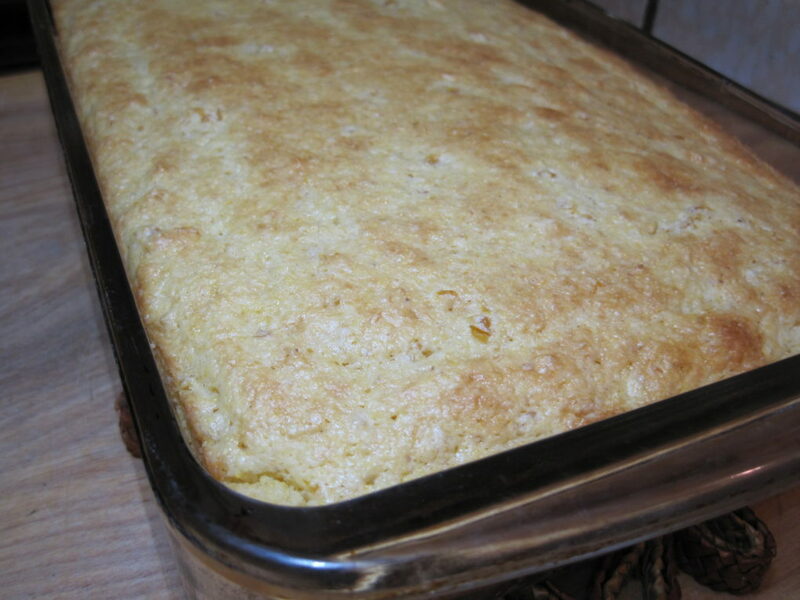 Corn bread, or Southern Spoon Bread is a true comfort food. 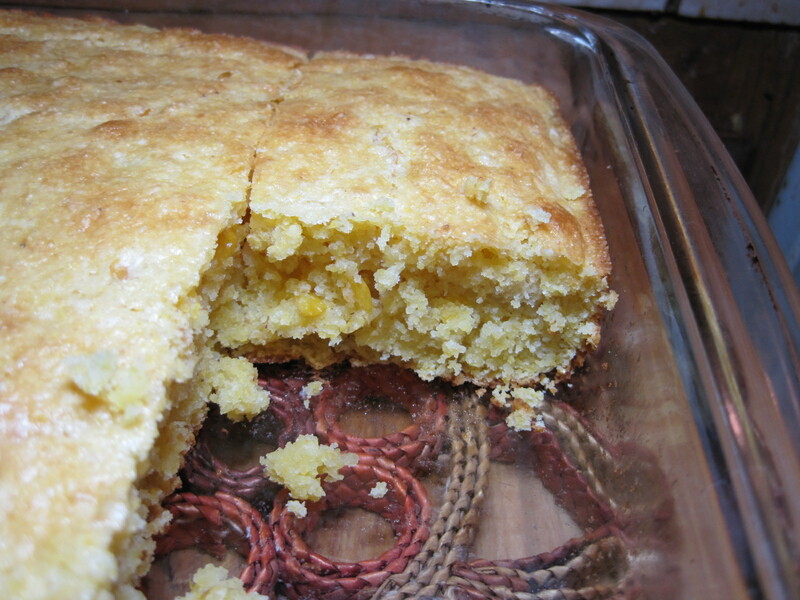 We really liked this recipe for cornbread. It’s been my favorite version. We love the added corn, and how moist and delicious the finished product is.